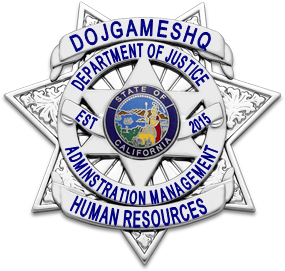 My Job as the Director of Human Resources along with my Deputy Director of Human Resources is Direct and Guide my Team of Human Resources Agents in maintaining the Standard of Perfection that our Community chooses to uphold amongst both our Staff and Members. I also oversee the processing and enrollment of applicants, management of members and recruitment. YES, DEPARTMENT OF HUMAN RESOURCES IS ALWAYS HIRING, HOWEVER, BECAUSE THIS IS AN ADMINISTRATIVE DEPARTMENT, IT WILL BE AVAILABLE THROUGH LATERAL TRANSFER ONLY.